OF DIFFERENT PRODUCT SELECTION PAGES. SUBSCRIPTION ITEMS AND GROUPS OF PRODUCTS. A simplified SKU system meant quicker time to quote for Centrify. It no longer has the need to reconfigure quotes for existing customers who want to renew or upgrade services. Centrify can just clone existing quotes and build on them. This has brought the entire process of building a quote from minutes to seconds. Integration Issues: Centrify was initially a Steelbrick customer, and when it bought the CPQ platform, integration was done by an in-house team. While this team did a good job with the setup, it was not built to scale. As Steelbrick grew, a lot of the new features and functionalities were not integrated into Centrify’s system because of the unique nature of its products and how it sold those products. This was creating a lot of missed opportunities. Large Product Catalogue: Centrify’s price book contained about 2,000 items with expected growth and a new pricing model. It’s not that Centrify had so many products, but rather there were many different combinations and various product offerings that made up the price book. 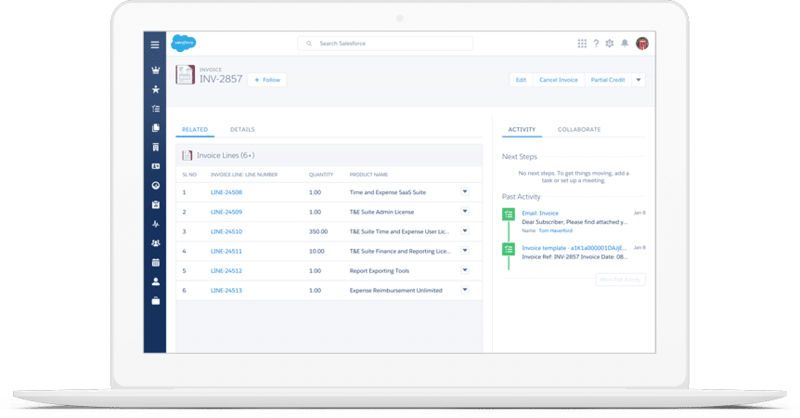 For example, Centrify uses a different SKU for a duration of subscription and a different SKU for each level of service it provides. This introduced a wealth of complications for and concerns about how Centrify could quickly and effectively build a quote. Process Concerns: Having operated under the same processes for years, there was confusion about the disruption of those process concerns and how the new platform was going to help. Pricing Model Overhaul: Centrify was looking to restructure queues, release new products and features, and sell existing products and features in a new way. Simplus helped build a pricing model that simplified SKU structure and catenated additional SKUs based on rep selection at the header page. From there, the system will automatically recalculate the quote based on the selection at the header page. This simplified the configuration process for sales reps, and SKUs could be quoted to partners or customers. Product Bundles: We helped construct a collection of different product selection pages. For example, Simplus built a dedicated page for all subscription items and groups of products. Once selected, the system will automatically identify the SKU for that particular bundle and attach it to the quote, eliminating the need for the rep to remember SKU numbers. Consulting: Simplus advised Centrify on best practices throughout the implementation process. We were forcing our reps to make a decision based on this long list of SKUs. You know, people are people—we make mistakes. A sales rep would accidentally click a two-year instead of a three-year subscription, or a standard service level instead of a premium service level. It was really just becoming a problem on the backend. Founded in 2004, Centrify is the only industry-recognized leader in both Privileged Identity Management and Identity-as-a-Service. Its goal is to provide, using the power of identity services, a single platform to secure every user’s access to apps and infrastructure in today’s boundaryless hybrid enterprise. Through this, it hopes to bolster business securities while also increasing the productivity of employees.